They say that everything is bigger in Texas, and that’s certainly going to be true for Halo’s presence at RTX this year, which is going down July 1-3. From booth events on the show floor, a panel, and awesome prizes to compete for, it will be an exciting event for Halo fans both on-site in Austin, as well as those tuning in online. Let’s check out what’s in store! 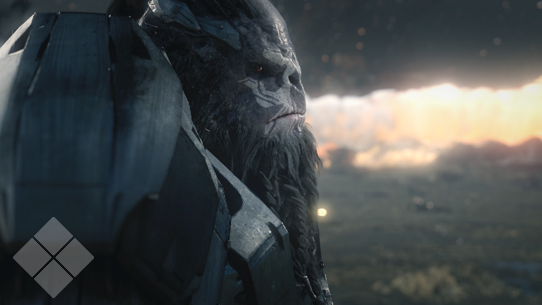 Halo Wars 2 ‘Strongholds’ – Didn’t get a chance to make it to this year’s E3? Have no fear, as we’re bringing the Strongholds gametype to RTX for fans to play on Xbox One. Strongholds is a fast-paced, timed game mode where the objective is to control more bases than your opponent when the timer stops. 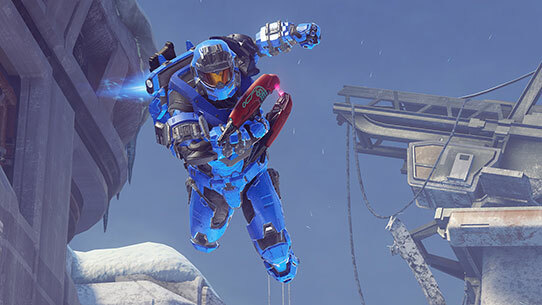 Warzone Firefight – Grab some friends, kick back, relax, and REQ some alien enemies. Warzone Firefight is Halo’s biggest cooperative multiplayer experience ever, and you can get your Firefight fix at RTX on the show floor. Halo 5 Arena for FFA tournament – We’ll be qualifying players on the RTX 2016 show floor for the Halo 5 FFA Open! All you have to do it get in line and be prepared to slay all that stand before you. Halo fans both at the show and at home will want to make sure to tune in for this year’s panel. Join 343 Industries stalwarts, Tom French and Dan Ayoub, as they’re joined by Rooster Teeth’s own Burnie Burns, and Matthew Arevalo from Loot Crate – all moderated by the highly immoderate Ms. Kiki Wolfkill – as they discuss the future of Halo’s map and UGC creator, Halo 5: Forge for Windows 10, and the sacrifice of Sgt. Forge and the surviving crew of the Spirit of Fire in Halo Wars 2. Chat, demos, sneak peeks and a QA session are a must for Halo fans, machinima makers and connoisseurs of myth and mirth. When: Saturday, July 2: 5 p.m. – 6 p.m. Looking for a relaxing afternoon of fun, fragging, and Halo hilarity? Join us at the RTX Center Stage on Sunday, July 3 from 12:30-1:30 p.m. to watch Rooster Teeth personalities take on RTX attendees in a variety of crazy custom gametypes in Halo 5. Hosted by 343 Industries’ Bravo and Grim, you won’t want to miss this hour of fun and frivolity, whether you are attending in person or tuning in online. When: Sunday, July 3: 12:30 p.m. – 1:30 p.m.
Last week we gave fans the scoop on an awesome opportunity for Halo 5 players to show their stuff and earn some pretty sweet loot along the way: the Halo 5: Guardians FFA Open presented by our friends at Microsoft Store. The tournament will give local Halo fans in Austin, Texas a chance at Halo esports glory, as well as a share of a $5,000 + more prizes! Friday, July 1: 12 p.m. – 6 p.m.
Saturday, July 2: 9 a.m. – 4 p.m. The players in the Top 3 from each day will move onto the Finals on Sunday, Jul 3 beginning at 2 p.m..
Each competitor will play three total heats (games) of 6-player FFA in Halo 5: Guardians. After the end of the three heats, the score from each heat is tallied to determine each player’s final score. At The Domain (Microsoft Store), the 36 competitors will be broken up into six groups of six, with the winner of each group moving on to the Finals. On the RTX 2016 show floor, the players with the Top 3 in score at the end of each day will move on to the Finals. In our Finals, the 12 qualified players will be separated into two groups of six based on their qualification scores, where they will again play in three heats. The players in the Top 3 from each group will enter one final round where prizes are the distributed after the last three heats of the tournament. No matter how you are able to experience the Halo haven at RTX 2016, we’re excited to have the incredible community along for the ride. 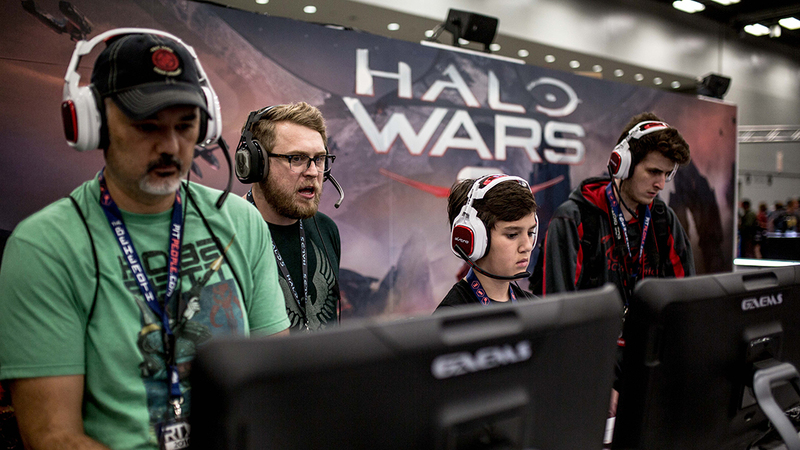 Make sure you follow @Halo and @RTXevent for all the latest news and updates. See you there! This year Halo will be at the Rooster Teeth Expo (RTX) in a big way, and one of the aspects we’re most excited about is the Halo 5: Guardians FFA Open by our friends at Microsoft Store. This tournament will give local Halo fans in Austin, Texas a chance at Halo esports glory, as well as a share of a $5,000 + more prizes! Read on to see the complete format, and how you can register! Welcome back, friends. Since we last spoke, the Warzone Firefight release has reached your consoles, we’ve traveled to the heart of Texas, and we’re now back in the studio preparing for what’s next. Perhaps the “what’s next” list may be of great interest to you. Let's talk about it!